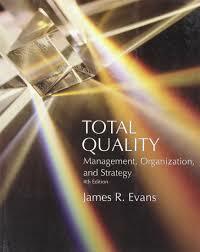 245 1 0 %a Total quality : %b management, organization and strategy / %c James R. Evans. 260 %a Mason : %b South-Western Thomson Learning, %c cop. 2005. 300 %a XII, 467 s. : %b il. ; %c 23 cm.